Please support our critical work! We gratefully accept donations large and small. ​Orleans Senior Center, 150 Rock Harbor Rd. 4/22 at 6pm with gust speaker Susan Wilson, President of CC Pride! 2ndWednesday of month, 7-9pm at 1stParish Brewster Winslow House (2 Rte. 124.) Also 1st & 3rd Wednesdays, 5:30-7pm at Hyannis Public Library. ​last Tuesdays at Falmouth Jewish Congreg. 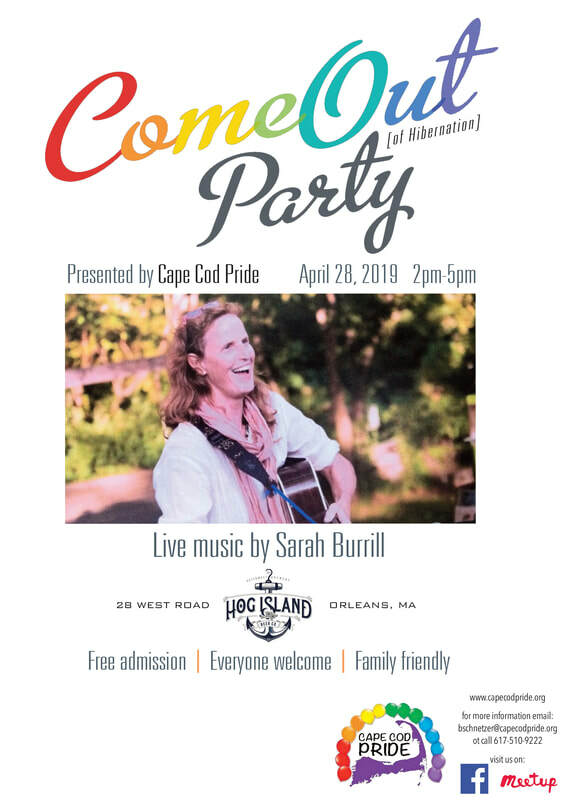 ​Cape Cod PRIDE 2018 Festival!!! Join Meetup if not already a member. Get your "Friend of Cape Cod"